I have this thing for newsprint, even before Carrie Bradshaw donned that Dior dress on SATC: I have a dress, a top, a skirt, pants, and even two bags in this print. This skirt is the latest addition to my growing collection. It was hot in Milan that day but the nights get much colder so I decided on a short skirt and a knitted top to balance out the cold in my legs. Hahaha! 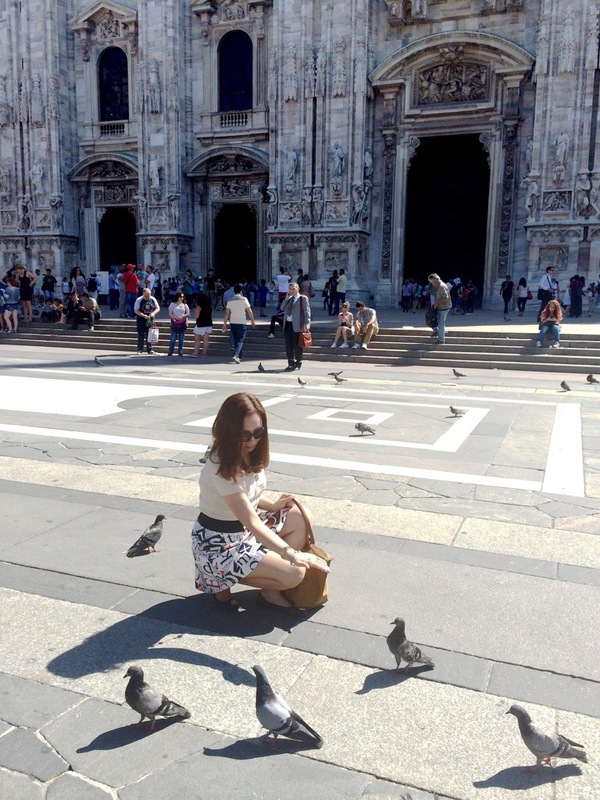 And what better way to pose in Milan than to stand right in front of the Duomo, feeding the pigeons? Skirt, Romwe; top, Espada; flats, Tory Burch; bag, Longchamp; sunglasses, Michael Kors.